This tutorial will help you to install ViSP for Java on your desktop. This tutorial shows how to proceed if your desktop is running Linux or OSX. If you are rather running Windows, you need to adapt its content. First create a workspace in $HOME/visp-ws that will contain Java JDK, ViSP sources, build and dataset. Download the latest Java Development Kit (JDK) from the Oracle website. Now you should be able to install the last Java JDK by opening the file just downloaded. After JDK download and extraction of the files from the archive, you may set JAVA_HOME environment var to help cmake to detect JDK. 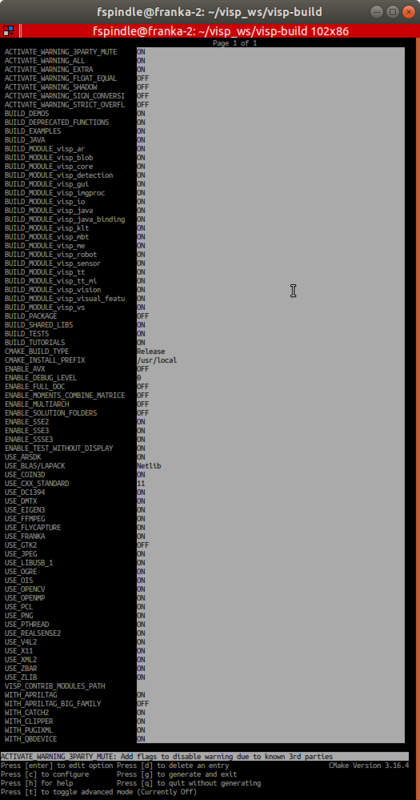 As a prerequisite, download and install first CMake and Apache Ant, if you don’t have any of these. Note that ViSP Java ARchive is now available in $VISP_WS/visp-build/bin/visp-320.jar. 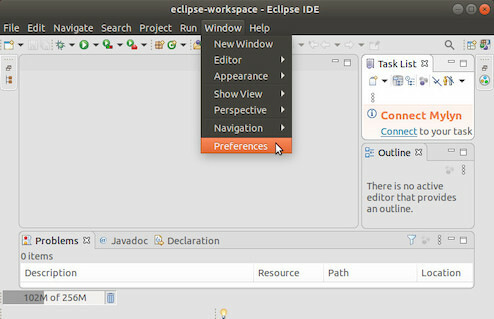 Download the latest Eclipse version at the Eclipse Download page choosing the Eclipse IDE for Java Developers version. You don’t need to install anything. Extract the downloaded compressed file and put the resulting folder wherever you want to. 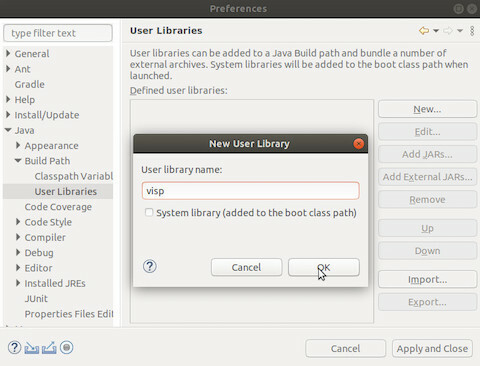 In the Preferences panel navigate under "Java \> Build Path \> User Libraries" and choose New. Enter a name for the library (e.g visp) and select the newly created user library. Press "Add External JARs" button, browse to select $VISP_WS/visp-build/bin/visp-320.jar from your computer. After adding the jar, select "Native library location", press first "Edit", then press "External Folder" and finaly browse to select the folder $VISP-WS/visp_build/lib containing ViSP libraries. We recall that the libraries have the extension .so in linux, .dylib in MacOS and .dll in Windows). Once done, press "Apply and Close" button. You are now ready to follow Tutorial: First java application with ViSP.